You ask why would I show a picture of the backside of a toad. The answer is simple its the best photo I could get. 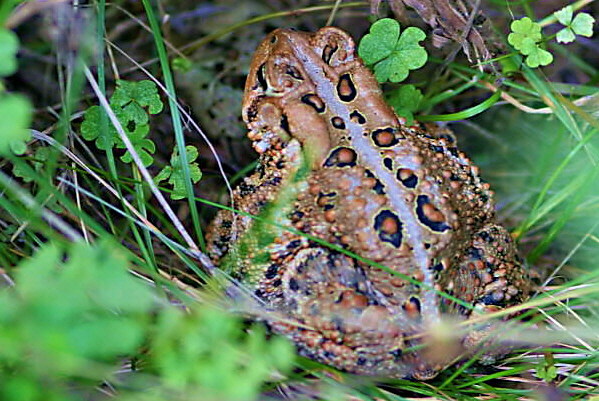 The toad like most wild animals would rather be invisible when it comes to humankind. Rather then put the creature into shock by prodding with my camera lens, I choose not to disturb it, let it believe its camouflage was successfully concealing it.